Brenntag Nordic is committed to quality management. We work according to defined processes and responsibilities to provide a smooth and efficient service with focus to always improve. HACCP for food production, and food and feedstuff authorisations where required. 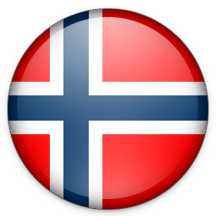 Brenntag Nordic has implemented ISO 9001:2015 in both Denmark, Finland, Norway and Sweden. Safety and respect for the environment is part of our mission. Brenntag Nordic has been aware of this responsibility for a long time. Decisions on all levels of the company take full account of the requirements of environmental protection as well as health and safety for our employees and the surrounding society. We have implemented procedures and control structures to ensure that the risk of accidents is continuously reduced during warehousing, filling and transportation of chemical products. Our commitment towards environment, health and safety is underlined by voluntary participation in the "Responsible Care Initiative" of the chemical distributors. An external auditor has made the ESAD assessment at all our sites in the Nordic countries as well as the head quarter in Ballerup. Brenntag Nordic has chosen to implement and certify an ISO 14001:2015 (first certification in 1998) environmental management system where suitable.